I am going to take a quick little dab at Facebook’s Question product. I am sure many of you would have noticed the sideways-charts-like icon sitting pretty beside the status icon on your news feed. I was excited to see a new product from Facebook that dramatically changes the way we interact with our small (or big) network of Facebook friends as well as the larger 600MM Facebook network. However, I was quite disappointed with some of the really obvious gotchas in – content discovery, noise-reduction and users/answers ranking. Why? This tool/product promises so much and yet manages to fail on some key areas that matter from Facebook’s perspective – User Acquisition, User Interaction and Retention. Comeon. Let’s get our hands dirty. 1. User acquisition. Does not seem to be a problem for Facebook. It’s at 600MM users and growing. But, new product launches that alter user behavior will definitely need a “warming up” period to see if the product gains traction. New product adoption hinges on how easily the product is delivered to the user, the learning curve involved and how relevant (read interesting) it is for the user. In that respect, what percentage of the 600MM users would use Question and what percentage would really use it to ask a Question of their friends. 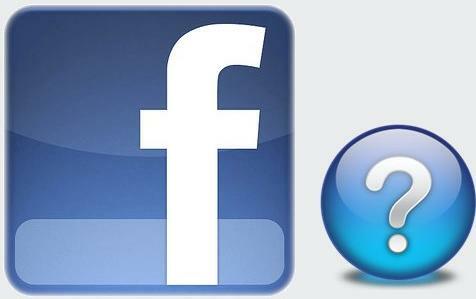 That is the Question Facebook (pun intended) will try to answer with product improvements and more customer feedback. My Verdict: Fantastic Job! I would temper that with the set of questions.. is Facebook rolling out Question to facilitate a rich source of quality answers/information, does FB have a set of rules to weed out noise or if not, is Question just a simple and handy polling tool? There does not seem to be a convincing answer for each of these questions. 2. Question Product. While Question hits the ball out of the park for the ease with which it is delivered to the user and learning curve involved. It is still a far cry from being relevant – purely, from a content discovery perspective. Ofcourse, that’s only my opinion and maybe, others think differently. I say that because I see a lot of noise rather than questions/polls I deem relevant. However, if you see it as a product line extension to Status updates with questions seeking information about the best pizzeria in North Beach, San Francisco etc., it is an amazing tool. My Verdict: Question is a great product or substitute for a subset of status messages. What it is not (yet) is that it is not a Quora or a typical forum to raise discussions. 3. User Interaction. Facebook has done a fantastic job of integrating Question at two levels that I believe are a core user-experience on Facebook. (a) Share status messages, links, questions etc., at the top of your Facebook page and as an (b) Application listed along with other applications such as photos, notes, groups, games, Marketplace etc. at the left-bottom. What is interesting is that Question doesn’t feature along with Messages or Events at the Left-Top which seems like a natural place for a new product to be rolled out. I’m sure the good folks @FB would have discussed this very question and figured Left-Bottom is the place to go. It is important to remember, all of this holds good only for the homepage and not your profile page where Questions features along with your Info, Photos, Notes and Friends at the Left-Top. This locations seems like a natural-fit and is probably a very good choice for a new product and a product such as Question. My Verdict: Sharing Questions and using Questions is a breeze. It is just not relevant or robust enough at this stage for a wholesome experience. Not to mention the lack of features such as discovering and following interesting topics etc. 4. User Retention. This is going to take time and multiple iterations. Going by past record, Facebook really has its ears glued to what its users are asking and I believe, will continue to improve and iterate over Questions for the better and faster than most others would have you believe. If, say, Facebook hoped to tap into even just 1% of its regular users (assuming 200MM – 1/3rd of its current 600MM users) in the first month, I’m quite certain they succeeded, infact, I would bet more than 1MM users use Question. Of that 1MM, how many would continue to use it actively? What is the product position? Is it (as mentioned-above) a substitute for some status messages or is it just another application that you do not mute in the hopes of seeing some relevant news 1 in 10 posts? The answer seems to be yes and yes for both. Now, that’s a problem. You can’t be everything to everyone. Assuming, savvy users will figure out what to do with a product leaves a lot open to risk and consumer behavior. I doubt that is what some of the smart folks @FB intended. I would ask how do they plan to engage users if they plan to go beyond a status message substitute? How do they plan to allow users to look for topics of interest and discover questions aligned with their interest? Sure, I can “follow” questions but how do I get there in the first place? I am convinced it has to be easier if the method’s already available, it has escaped me completely. My Verdict: One problem that Facebook has answered and is continuing to improve upon is slicing and dicing all its data to present in a very simple format for all the users. It is an exponential problem for a product such as Questions though. How do you ensure the right topics, Questions are provided to the user? How do you eliminate all the myriad “noise” sources to enable users to get to data they find interesting and relevant. In other words, how do you retain users or how do you enable users to actively use your product as compared to infrequently? a) Clarify Customers: Yes. 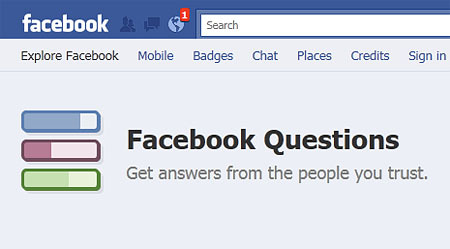 Question can be rolled out to all Facebook users. But, depending on who is targeted, the use-case and flow would obviously change. Hence, clarifying who the target customers are should be the first task. In other words, if Question is just a “sharing” method to ask questions of your core network of friends, Question is good as it is. Ofcourse, it needs to improve in how it is delivered in the news feed etc. but it is a great start. However, if Question was intended to be a Quora like service (as Facebook seems to tout the product), focus more on setting it up as an application/page along with notes and allowing sharing your questions/answers with your friends based on topics/questions you frequent. In fact, following high-quality users “experts” could be turned on as well. Although, I’m not sure, if that feature’s something Facebook would consider enabling. I don’t see why not though. It just gets a little messy unless rules are setup automatically to exclude personal information, wall-posts etc from being visible to users who follow you through Questions. This reinforces my belief that Question is better served as a separate application/page rather than just a “sharing-tool”. b) Clarify Positioning: Depending on the choice of target customers, Question needs to be refocused for that target segment. Or at the very least, features allowing such users to engage with other similar users and use Question need to be delivered. I believe this would be an important step in articulating what the product can do and how it can be used. Why? Well, if I wanted to follow topics, if I wanted to follow some “experts”, if I wanted to have Questions/Answers delivered in a more intuitive way and not just as a list of Questions my friends answered, I don’t have a choice now. I am going to have to sift through all the information on my news feed or the Questions page to get to interesting Questions or topics. Facebook Ask and Questions ? 1) Separate Question into 2 products: One a dumbed-down, simpler “poll” version that can be used in the News Feed to share with my friends that I would call Facebook Ask and another full-fledged product, Facebook Questions, directly competing with Quora (atleast, a part of Quora’s market) and/or the market Quora doesn’t necessarily address – soccer-moms (eg., best recipe for home-cooked 10-min pasta), uber-geeks (eg., how best to setup a wordpress account), soccer-dads (eg., how to file state taxes without getting swindled by a local tax agent) etc. I think these questions/topics often lend themselves well to a majority of the Facebook users without estranging some sections. For example, a discussion on QE3 may not be an ideal discussion over a cup of joe on Facebook. 2) Design Use-cases and Flows for each product allowing Discovery: In the early stages, obviously, there isn’t a lot of data (questions/answers) to be discovered. But, with millions of users, it would be easy to build a huge database in a matter of weeks or months. Considering the 2nd Question product geared towards segments I described above, use-cases intentionally designed to encourage relevant content discovery would ensure Question gains traction quickly and as desired. 4) Monetization: 2 Revenue Channels would be partners such as NYTimes, Forbes etc and clients advertising on the Facebook ad platform. Imagine, a tax service such as H&R Block advertising on a Question about the best tax agent in Palo alto luring potential customers with discounts and engaging customers with good-quality answers and not spam. This is just the tip of the ice-berg of possibilities. 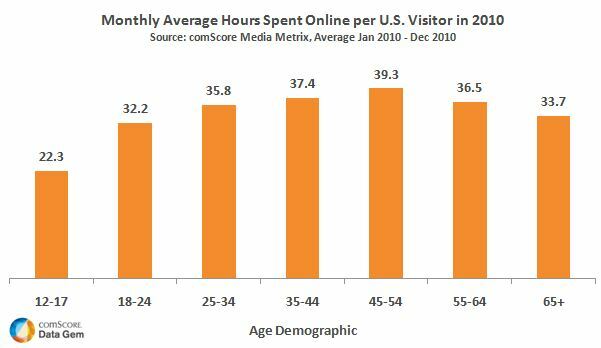 Lastly, I will leave you with some more recent news that describes online advertising to be a bigger market than print media. Facebook can not only take a piece of the print media advertising, internet advertising but also, TV advertising. In fact, most companies are using a social media campaign in tandem with their usual advertising channels and as Question gains traction, you will see more engagement from companies going above and beyond a Facebook Page. As always, that’s my 2C and it has been done with limited time and research. So, take it all with a liberal dose of salt. As I grapple with a case titled “TV Everywhere” and consider the possibilities ahead of Amazon in a fast converging digital media landscape – TV, Internet Video, Content Owners/Providers, Broadcasters and the infrastructure providers – I wonder if we haven’t seen it all already and why some of these players refuse to be “Frenemies”. I would like to walk through an example to illustrate why we might have seen it happen already. Conan O’Brien, without any reservations, has disrupted the strangle-hold broadcasters cast upon the hapless content creators. 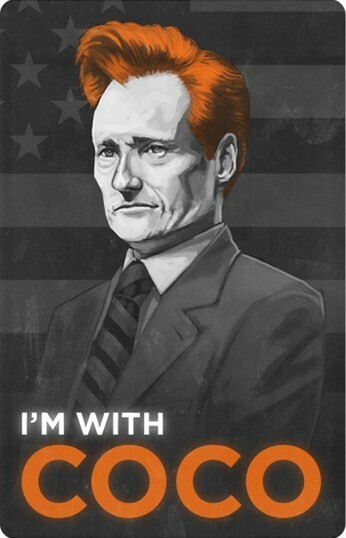 I have watched Conan for 6 years now and continue to enjoy his shows and brand of humor. (Please don’t hold that against me). Conan, a Harvard graduate, is probably one of the most educated and intelligent night-show hosts on TV. After the much debated NBC fiasco (involving Jay Leno, who I have to admit sadly, is a fossil in this dynamic digital media landscape), Conan picked up after himself. But not on his own. A fan started a Facebook page, another fan started a Coco (as Conan is fondly referred to) support page and overnight hundreds of thousands of fans joined hands. Conan candidly admits he knew zilch about the possibilities with current technology and how he was asked by NBC to _stop_ the negative press on Twitter about which he had no idea. Soon, his team crafted a plan to circumvent clauses in the NBC severance contract using social media technologies – Twitter and Facebook. Now, Conan’s shows are made available the very next day with excerpts and teasers presented to users well before the shows. Teamcoco is a really busy webpage for its content and layout. It’s updated multiple times everyday. It has Twitter and Facebook widgets – not a big leap considering that’s how the team got its new start. What’s surprising is that Teamcoco has embraced technology just as any savvy TV producer has to by using Foursquare, Getglue, etc to allow users to engage with the team for real-time “checkins”. I doubt if Conan reads all comments, but, I bet, his team draws his attention to some witty comment, tweet, or feedback from his fans. He has 1.5 MM fans on Facebook according to his website. 1. TV Content should be free: Maybe, not all. Although, I can’t think of any reasons why all content shouldn’t be free except ofcourse justifying the huge investments and operational costs ;-). If TV content is made available for free, you will have more eyeballs than when it is not. Unless, somebody figures out innovative business models around content, there will always be bootleg sites offering “free” content or customers will opt for cheaper options than expensive packages. 2. Content Ownership: Ideally, content creators should own content than the broadcasters or production houses. 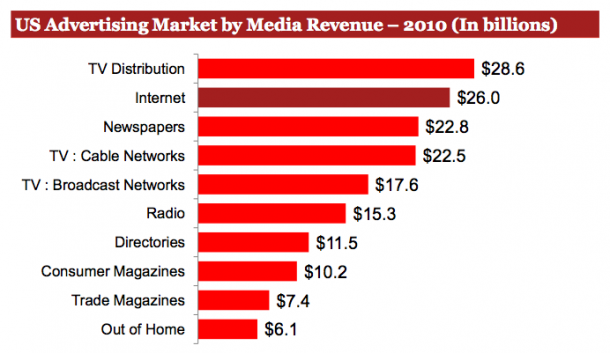 But, then, the media industry may need a bigger incentive to even fund new ventures. 3. Revenue Streams: If content is free, it imposes more restrictions on the broadcasters ability to make money or enjoy the same riches they did a few years back. The broadcasters need to come up with innovative business models and additional revenue streams to counter the loss of revenue in making content free. At least, this prevents the bootleg sites from eating into the broadcasters revenues. 4. PEOPLE: Whichever way you look at any business, it all boils down to the customers. No matter how good your analytics are, market research and marketing plans are, customers still have to buy your products/services. In the entertainment industry, people play a bigger role than in other businesses. Hence, it is important to think along the lines of social networking websites or businesses. Successful businesses are those that can start from the people (customers), provide a perception of “openness” and have short feedback loops (with customers) to actively indicate that the businesses put people first. Customers enjoy feeling wanted. This means, you are only helping your cause by engaging with your fans rather than pretend it is all a passive interaction where TV shows don’t really involve fans’ participation. How are Conan’s shows on TBS different from his shows on NBC? 1. Actively engages customers/fans: For example, last night, Coco walked into the audience to select a fan to give him a free ticket to New Orleans. To use a digital camera and capture festivities in Mardi Gras. Conan was sitting with the audience briefly as well. Message to viewers: Conan “cares”. 2. Seeks feedback: Everyday, teamcoco sends updates, invites comments about shows or some activities such as Live cam, and more importantly, includes those in their commentary or show itself. For example, for Conan’s twitter anniversary, they invited fans to write his bio for twitter. How many of us have engaged with a celebrity as closely? 3. Listens to Customers: On the day of Steve Jobs key notes and official release of iPad 2. Conan had a mock advertisement of Apple’s iPad advertisement. See here. On the same day, they had a stage setup similar to Angry Birds and played a “real” Angry Birds(See here here) in front of the audience. Even though his fans couldn’t have cared less if he had talked about the iPad or Angry Birds. It conveys, to atleast a portion of his target segment, that the team commentates on key current events (albeit in a fashion that best suits his fans and sometimes, more knowledgeable than your average Joe) and hot topics of the day. 4. Conan Owns: Conan owns the content. Which is why you see his shows being made available the same night or night after. His team has the liberty to use the show’s content to generate more eyeballs, engage fans across various media, devices and ultimately, keep his fans happy and excited. For its part, TBS, (this is purely conjecture) may be getting a portion of the revenue alongwith the TV ads during Conan’s TV show. I don’t have data to analyse how much $$ TBS might have enjoyed if it had operated under its old business model, but, I believe this might be more profitable. So, we have seen how content creators, broadcasters and content owners have disrupted the status quo in the media industry with Conan’s example. 1. Kindle is one of the most successful products from Amazon. It has been going through price-cuts over the years while improving in its feature set and core capabilities. It sells for only $139 and $189 with free Wi-Fi and 3G+Wi-Fi connectivity respectively as compared to the price-points for iPads or tablets that range from $399-$799. 2. Kindle Store offers around 810,000 books. Not to mention the newspapers, magazines, singles and blogs. 3. Prime Subscription: The newly introduced Prime Subscription offers 2-day shipping and 5000 “commercial-free” TV shows and movies for $79/year. 4. Amazon Elastic Compute Cloud (EC2) web services: Interestingly, they are priced based on data usage or per hour used with a tiered pricing scheme. 5. Customers: Amazon has slightly more than 100 MM customers. This implies, they have around 100MM credit cards information, analytics on customer behavior and purchase patterns. If Amazon can’t roll out a product/service that disrupts the media industry, there are very few players with that scale and free cash flow to roll out “TV everywhere” services. Admittedly, Amazon’s core strengths lie in its retail operations, but, since it diversified into Kindle and Cloud Computing, it has looked like a different business altogether. Unfortunately, it needs to play ball with CBS, TBS, NBC, Disney etc. It needs to work with service providers such as Verizon, AT&T and Tmobile to gain any significant momentum. But, all of these players are rolling out services on their own or working with Hulu or Netflix. Not to mention the elephant in the room Google/Youtube which will start airing live NFL matches later this year. I go back to my earlier Conan example. All that matters is eyeballs. In other words, all that matters are the customers (your people). How many of Amazon’s customers might be inclined to subscribe to the $79/year plan? How many new customers might be willing to subscribe to the $79/year Prime membership even if Amazon throws in 2-day shipping? Therein, lies the rub. 1. Free Kindle. Offer Kindles for free. Introduce a new product line specifically for the Tablet PC segment leveraging the Kindle brand. 2. Prime Subscription. Offer it for FREE. But, customers need to sign up for a 2 year PRIME subscription equaling $158 over 2 years. 3. Content. Offer more content. Sign up more partnerships and make more movies and TV shows available. 4. Live Content. Importantly, sign up to offer LIVE streaming games and music concerts. Create another pricing scheme for people watching LIVE matches. 5. App Store. Set up App Store similar to Kindle store. Make more apps available, including those tailored towards amazon’s businesses, products and services. 6. Location-based Services. Amazon is one of the most qualified companies enjoying deep synergies with location-based applications. Infact, it may not be too far before Amazon sets up partnerships with other retailers and resellers to offer a “Same day Pick up” option to consumers where you can purchase from Amazon and based on your location, pick up the purchased item from the nearest store. Or push coupons from nearby based on the items on your “wish-list” matching prices on Amazon. Rationale: When iPad2 has been released and there are 100 different tablets in the pipeline or to be released in 2011 including competitive products such as Xoom etc., Amazon really has no play without dangling a service alongwith its tablet PC play. It can leverage its Kindle brand to offer a tablet PC specifically for this market and customers interested in watching TV shows/movies. But, why would anyone choose Amazon’s new “Media” Kindle over iPad or the Android based tablets? Well, if it’s free… it makes the choice easier. Ultimately, it’s the other revenue streams that can make money for Amazon. Not the price of the hardware. And to drive more eyeballs to its video service, this is probably the best option for Amazon.